Malin is a modern-day Mary Jane with a sweetheart vamp, wide instep strap, and adjustable, slingback heel, all sitting pretty on a leather-covered block heel. Anatomically contoured midsole, leather-wrapped footbed with memory foam for cushioning, and long-wearing PU/rubber outsole provide all-day underfoot comfort. I‚Äôm a resident physician so I am on my feet for hours. I bought these for a rotation I did in Europe so that I could be professional while working and stylish while vacationing. They were great. 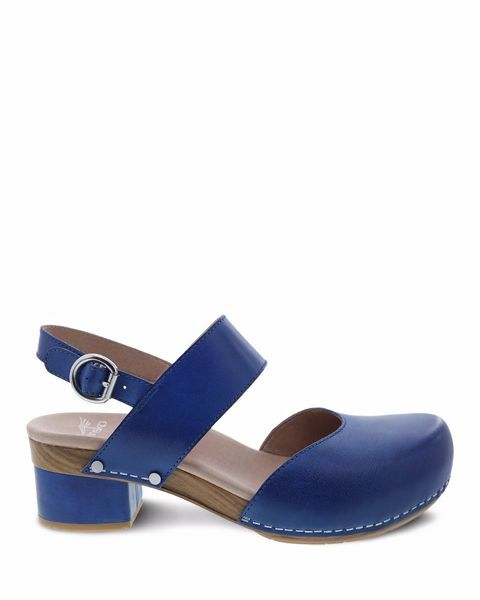 Typical Dansko clog comfort with beautiful styling. The sand is a deeper tan than pictured. I wear a39 or 40 in clogs depending and went with the 40 and it was perfect. How do I handle scuff marks in cobalt blue leather? Completely comfortable from the moment I put them on and walked a mile to work. Great support. Cute enough for the office and not overly “clunky” looking. I’m on my feet about 12 hours per day. Theses shoes are so comfortable and very pretty.